“It’s the journey, not the destination”, has always been a phrase in my repertoire. Well, in this case, the destination was the thing. The twelve Canadian flags present at Wanee were a testament for the distances worth traveling to get there. Marita and Corey drove over 24 hours from Niagara to get back to the place we all belong. I spotted twelve Canadian flags and California, Illinois, Massachusetts, New York, New Hampshire, Tennessee, Georgia and of course, Florida, were all represented by the few people I chatted with just in my first day at Wanee . I was astounded by how many more people there seemed to be this year than last. Some have reported that there were as many as 20,000 people enjoying the festivities this year! After setting up camp, the first thing that stood out to me and everyone else, was the two story, handmade teepee tent in the woods beyond the lake sites. Patrick from Marietta, GA built a magnificent teepee tent on site out of bamboo, screen and one piece of plywood for the second floor watch-tower. He told us all of the pieces were to be burned in a huge bonfire on Sunday except the bamboo (still fresh and green from recent cutting) he planned to bring home with him for another project. Keyboardist for The Doors, Ray Manzarek and guitarist Roy Rogers made Riders on the Storm an eerie reality for this long time Doors fan. 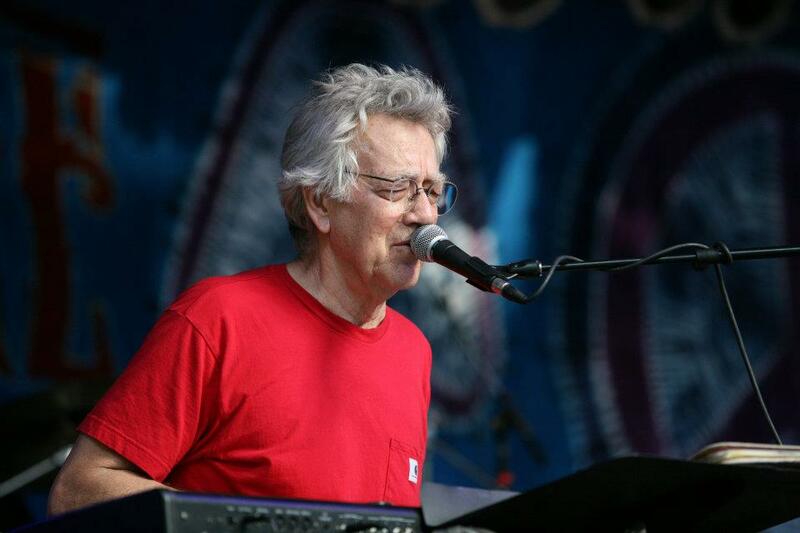 For a daylight show on Thursday, Ray, Roy and their band set the bar high for the rest of the Wanee weekend. Riders on the Storm was also an ominous foreshadowing of the Saturday storms to come. Up next, Devon Allman’s Honeytribe rocked us out for a couple of hours. The sunset in the cypress trees on the lake was a serene scene while Devon wailed his electric blues. The sharp blues ripped a hole in the sky. It opened up and the rain poured down for the final part of Devon’s set. Growing accustomed to rain and sweat at the Music Park, I joked with other photographers later about “swain”. Is it raining? Or is it sweat? Or a combination of both? After Thursday’s downpour, the rest of the night was dominated by swain. Saturday’s thunderstorms provided an electric setting for a thoroughly lubricated crowd. Gov't Mule and Furthur sets were drenched, but the party raged on. EOTO and SOJA caught some rays between storm-sets. Conspirators’ insane electric jamtronic had the trees vibrating and flashing a killer light show. When the Disco Biscuits members broke into Scarlet Begonias, it was an exciting reminder to us all of Furthur to come later. Conspirator’s biggest crowd pleaser was Jimi Hendrix’s classic, Fire. Under their musical authority, Fire became a hippie, electronic Kumbaya sing along. One thing I noticed at Wanee this year was the prevalence of signatures on established musician’s guitars. 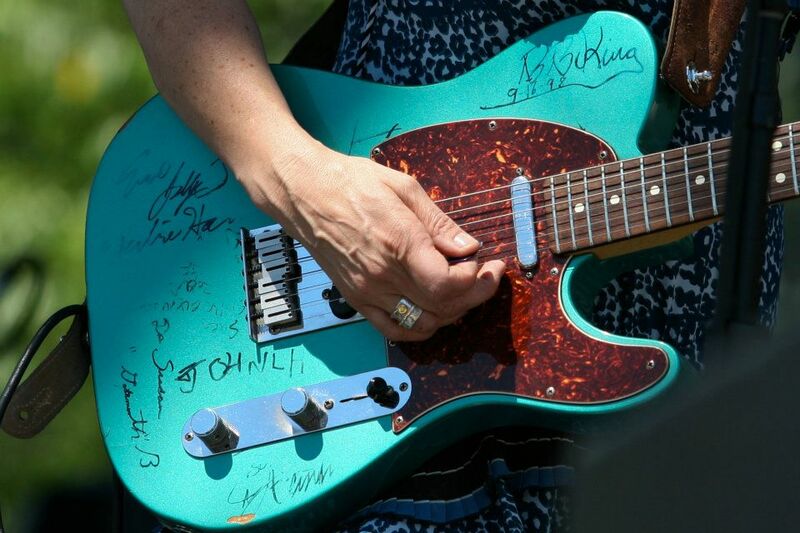 Susan Tedeschi’s blue Les Paul guitar is signed all over by influential musicians. Can you decipher the signatures? B.B. King from ’98 is predominant on there… Derek Trucks had a signature on his guitar as well, though I couldn’t read or photograph it very well. Devon Allman’s guitar is dedicated straight from Les Paul. “Keep on Rockn’ Devon”, it says. The Band’s Levon Helm’s passing on Thursday was recognized by Bruce Hornsby when he played The Night They Drove Old Dixie Down to an emotional crowd on Friday. Buddy Guy’s set immediately after was full throttle, high and positive energy. Buddy seemed to really appreciate the crowd and the opportunity to entertain. He even came down into the crowd to toss out guitar picks to eager arms. Susan Tedeschi’s smooth honey voice and Derek’s classic slide guitar had friends and lovers swaying and swooning to Midnight in Harlem about five songs into their set. I had other work to do, but couldn’t seem to pull away from TTB. I hope I can see them again soon. Soooo impressed. Live music energy is like a group meditation. The energy is thick and heavy and it’s oh so much more powerful than playing alone. The emphasis is on living in the moment and living for now. You feel your breath and your toes and your neck hair stand on end but at the same time you feel nothing. This was the effect of TTB on the crowd. I think so much was expected for Furthur and the Allman Brothers that the crowd didn’t even expect their own sublime reaction to TTB. It was sweet to see so many people just stop in their tracks and hug or hold hands as TTB played on. 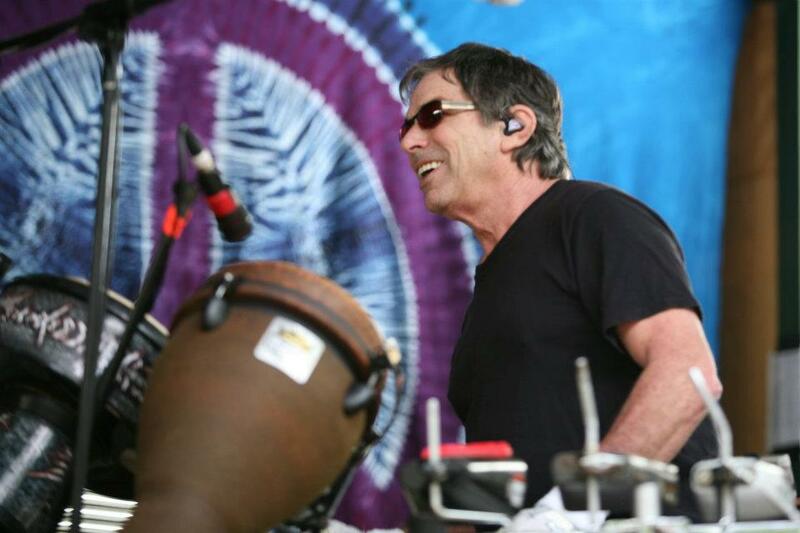 Now, I have to gush for a second about Mickey Hart Band’s performance as well. They were impressively upbeat from their first note of Not Fade Away to the last note of Bertha. Crystal Monee Hall brought the energy of her Broadway Rent experience to the small Mushroom stage and really helped create an awesome impression of the Mickey Hart Band. Furthur ALSO started their set with Not Fade Away. Coincidence? Ever see A Mighty Wind? Hmmmm…..? It was hard not to wonder what that was all about. 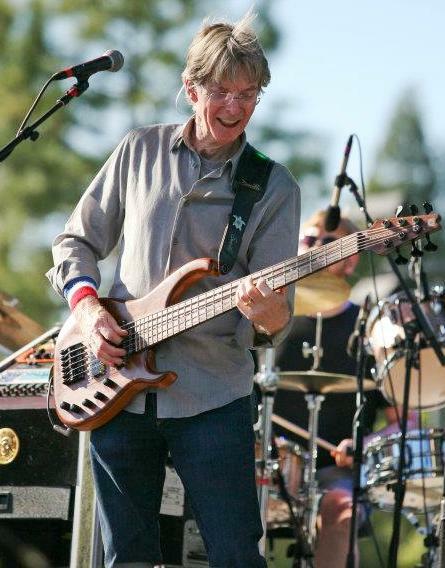 The sounds of Bob Weir, Phil Lesh, and John Kadlecik demonstrated strength in their Grateful Dead history. Their visual simplicity was a testament to their musical and historical strength. The daylight show, void of psychedelic screens and laser lights was engaging with every note struck. They didn’t need an ounce of embellishment for the crowd of thousands to be completely lost and found at once in their soulful jams. Ripple, Furthur’s third song was a great reminder of the Grateful Dead’s influence and the power Furthur wields by playing on so many years later. As I took photographs and notes, I envied those thousands who were so completely lost in the moment. Fire on the Mountain, Eyes of the World, Scarlet Begonias, Turn On Your Love Light and Touch of Grey were just a few highlights from Furthur’s Friday show. Bonerama’s New Orleans brass was pretty impressive as well. Their last song, Black Sabbath’s War Pigs, was the first time I’d seen a trombone play the melody for any song, much less a heavy metal tune. “So hungry, want some jimmie johns, won’t settle for subway” Zach’s emotional, heart-wrenching ballad about a sandwich stood in stark contrast to the relative seriousness and passion of Wanee. It was a light and welcomed reprieve. Later, the Allman Brothers were a full hour late coming on stage. I, along with others around me, felt guilty for complaining about the delay once we saw Gregg Allman on stage. He clearly didn’t feel well. The show went on with Derek and Warren somehow both simultaneously impassioned and distracted. 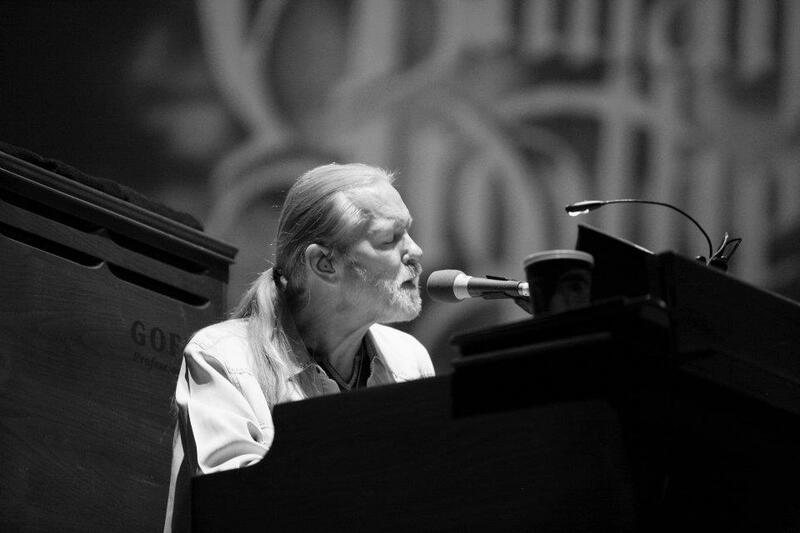 I felt pained for Gregg Allman as he appeared to be in some pain. At the same time, not being on stage, playing the music of his heart obviously not an option. There was a lot of love in the air. Lots of love on the stage. My Cross to Bare, also the title of Gregg’s “tell all” autobiography, coming out in a couple of weeks, detailed the man’s plight over the past few decades. Their second song of the evening was Midnight Rider (what Allman Brothers are with their late sets at Wanee) and their 3rd song, my all time favorite, was Blue Sky! “You’re my sunny day, hey mister bluebird I’m just walking down the road.. etc.. love love love”..
Toward the end of Allman’s Friday set, when I could no longer stand on my own two feet, I headed back towards camp. As I walked towards my tent, I could hear the Allman Brothers playing through the swaying trees. A Barred Owl swooped low with a single wing flap overhead and called into the night. The symphony of cicadas, frogs and owls enraptured with wailing blues guitar, heart-felt melodies and painful but redemptive keyboarding nearly brought me to my knees in the dirt. The beauty of nature’s music intertwined with man-made music that speaks so strongly was a unique harmony not often heard. 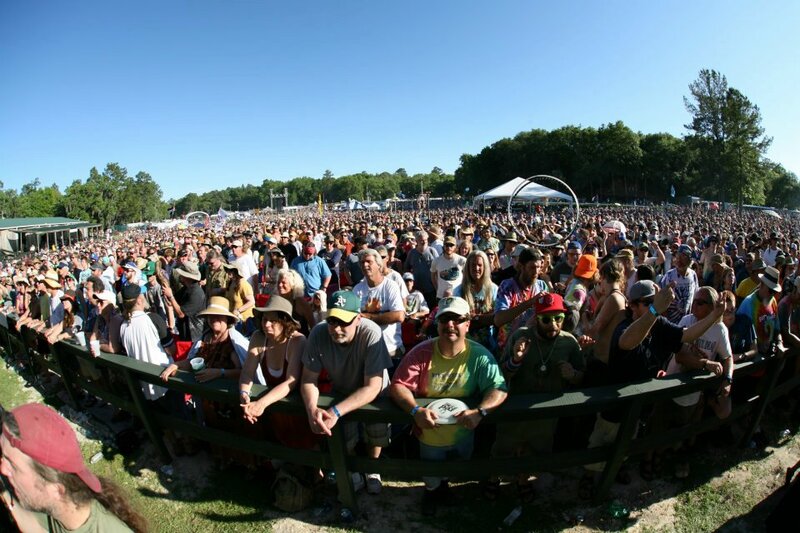 Despite what happens in the next year, Wanee will not fade away. The love and the energy won’t fade away either. 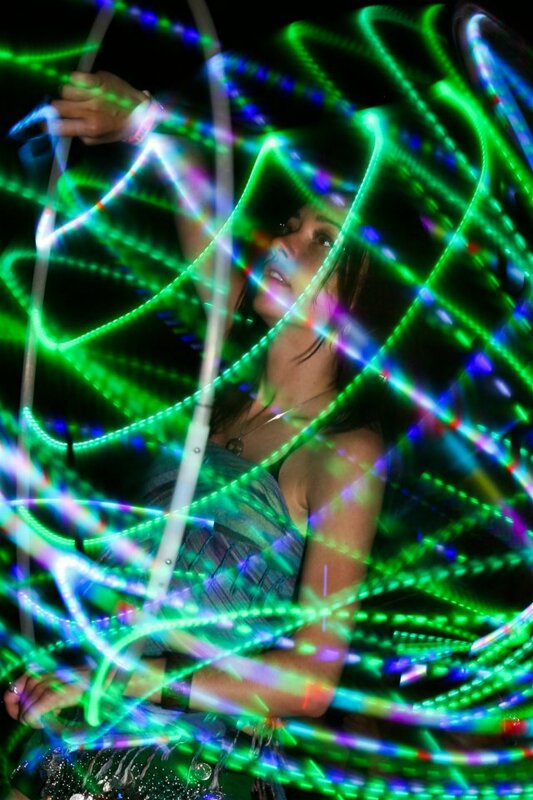 Check out more photos from Wanee. Magnolia Festival: We can rediscover the wonders of nature, down by the (Suwannee) riverside..